The Monbulk CFA has quilt racks for hire. This is a part of their fundraising. 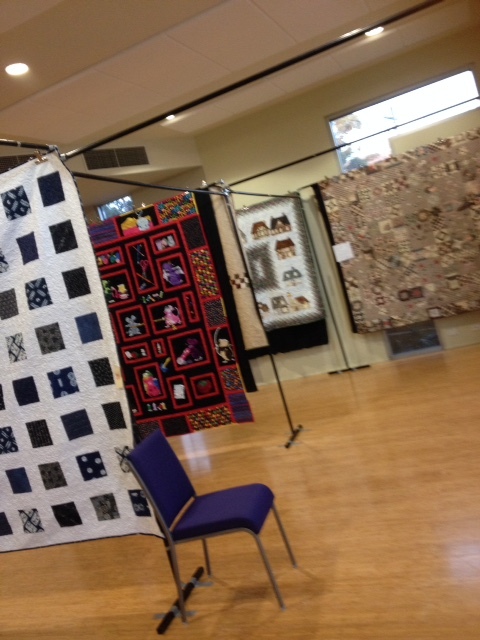 If you have visited the Monbulk Quilt Show they are the racks we use to display our quilts. The racks are stored at the Monbulk CFA. There are 12 bags of racks, each bag contains 9 poles, so 36drops in all. The smaller bags makes them easy to carry. Cost per day is $85.00. You are not required to take all the bags, l can quote the price once l know how many bags you require. Racks must be picked up and returned to the Monbulk CFA, a time will be organised when you place your booking.